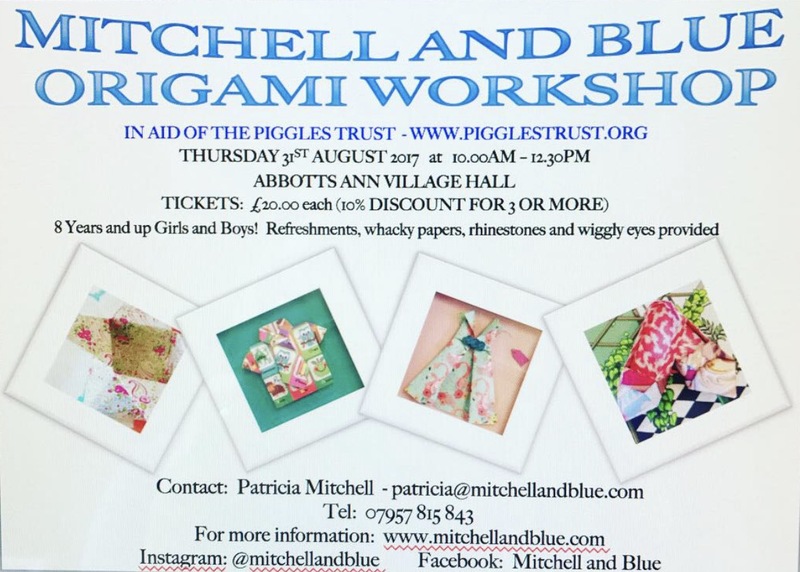 Mitchell and Blue specialises in hosting origami workshops for adults, kids and rehab care (Mostly PTSD). There will be an origami workshop on the 31st August at Abbotts Ann Village Hall at 10am – 12.30pm. The class is open for children from 8 years and older …. including adults! Tickets are £20 each which includes all the whacky papers, rhinestone and wiggles eye embellishments plus refreshments. The workshop is in aid of The Piggles Trust – a local charity.